Every so often you come across a real gem! Today was the first century ride of the tour. 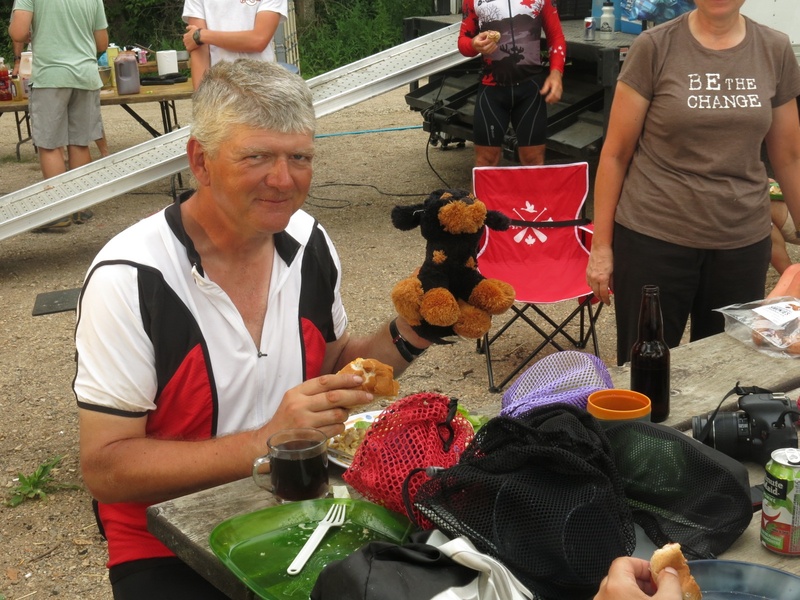 A century ride is one that exceeds 100 miles. 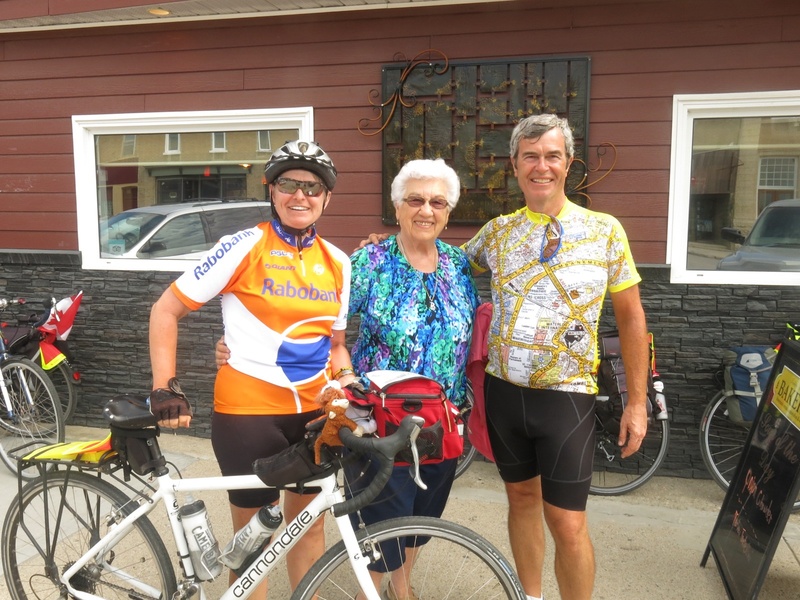 We left Regina in a headwind that stayed with us most of the day. 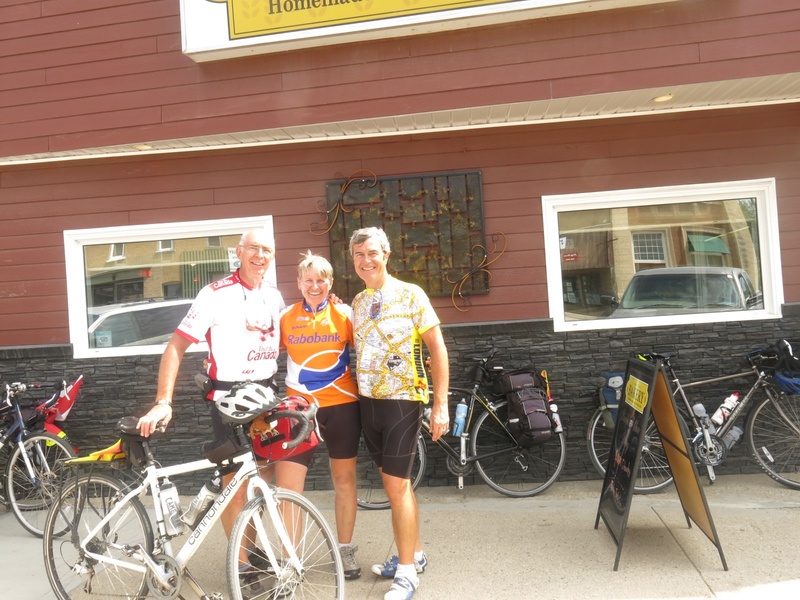 60 km into the ride we came to the town of Indian Head. Occasionally on the tour we have come across little gems that just add something special to the trip. The cheese store on the way to Mission and the fruit stand at Chase were such places. Youngstown and the kind hospitality of the people there was definitely another. Today we came across another. 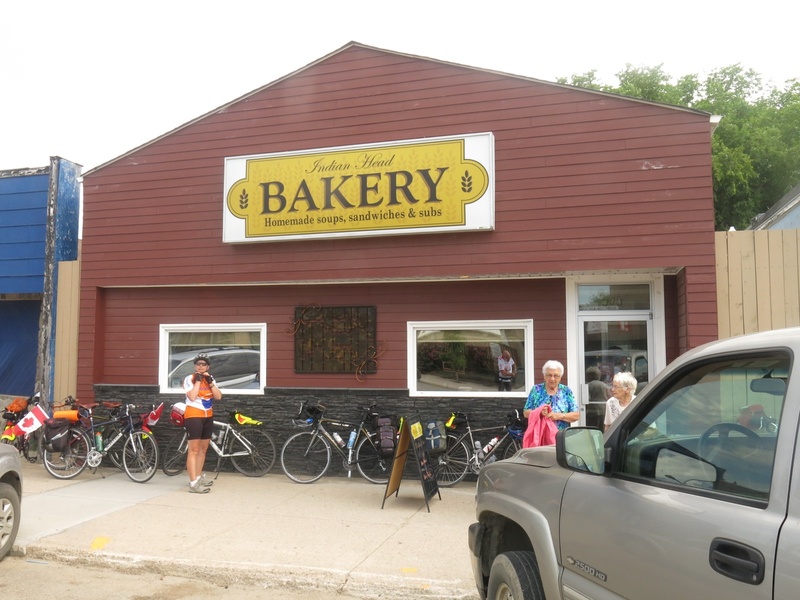 The Indian Head Bakery is one of only a few bakeries left in Saskatchewan that still make everything from scratch: most now use mixes. I had a cinnamon bun with cream cheese that was probably the best I have ever had. It came heated and cut up with the cream cheese melted all over everything. Yukon Greig arrived shortly after we did and on our recommendation had the same thing. A little later Gee, Larry and Myra arrived and they also had cinnamon buns with cream cheese. Everyone raved about them. While getting my coffee in the bakery I got talking with three elderly ladies who were having coffee. They were very interested in our ride and quite amazed at what we were doing. Later, when we were outside getting ready to leave, one of them was also leaving and stopped to talk some more. 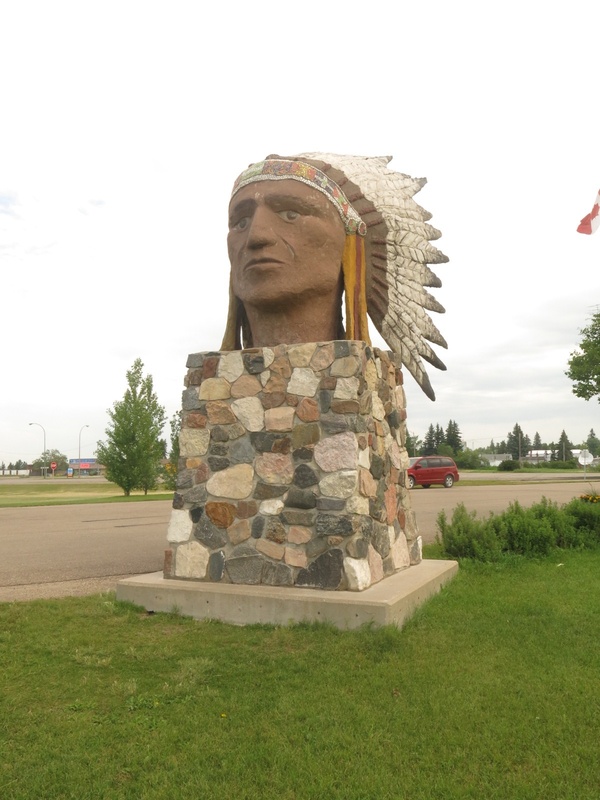 She had lived in Indian Head all of her 88 years. Michel took a picture of Elaine and me with her then she took a picture of the three of us with my camera. Aside from the bakery the town itself was quite pretty and definitely warrants a return visit if I’m ever in the area again. It even has a really nice RV campground on the east side. 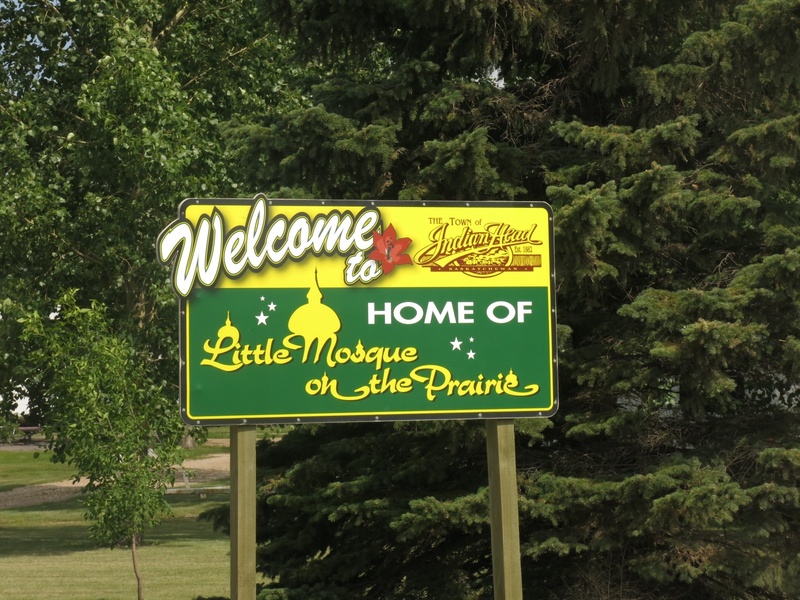 Incidentally Indian Head was where Little Mosque of the Prairies was filmed. 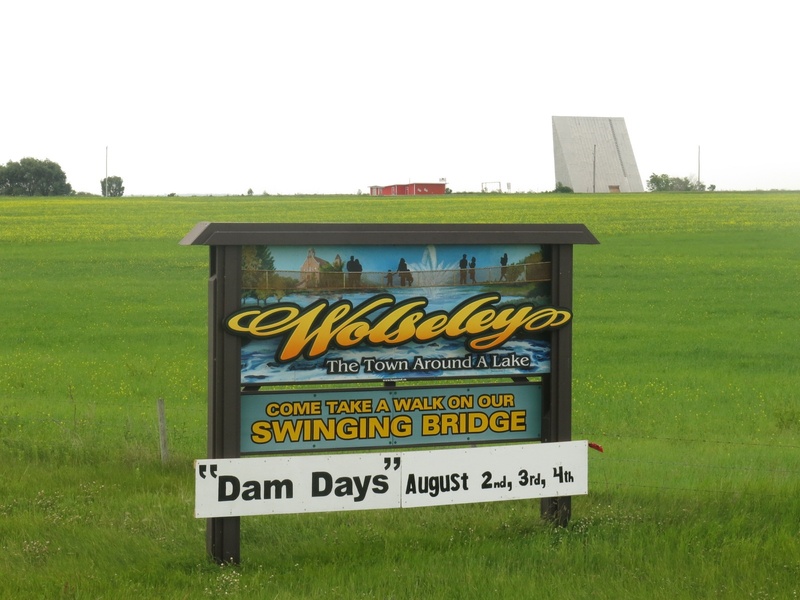 Our next stop after more riding into the wind was Wolseley. The town still has a drive-in theatre. It looked like there were a few interesting things to see in town but we didn’t take the time to venture in. We did stop at a service station just off the highway where I bought a lemonade slurpie to go with my PBJ sandwich. I went back in and got a soft ice cream cone for desert. 75 km into the ride my Garmin quit. I think I had left it plugged in when the power in the campground in Regina was out for 4 hours and instead of charging it was discharging. In any event I had to rely on Elaine for the rest of the day for distances. It also means that my odometer will be off by 93 km. Our final stop before the campground was Grenfell where I bought a chocolate milk to go with PBJ sandwich #2. 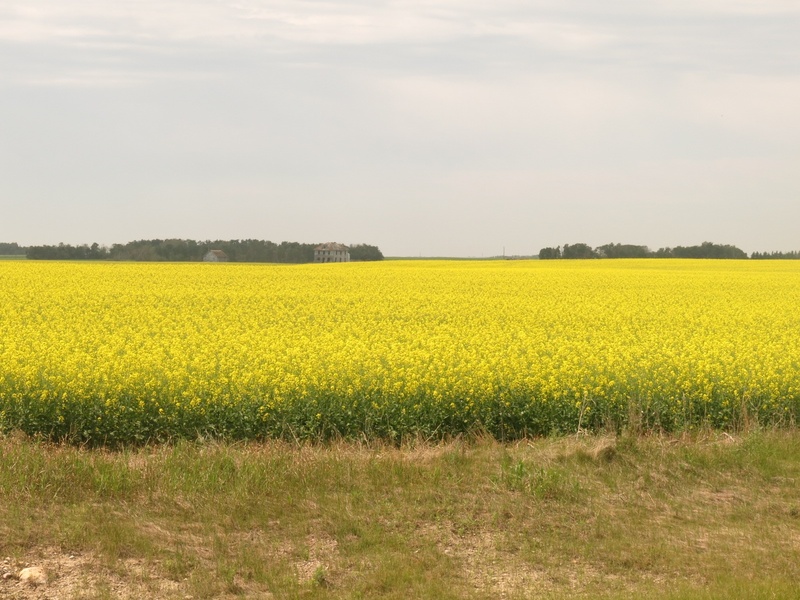 At Grenfell we could see a storm moving through and could hear thunder however it appeared to be moving southeast and we were turning north. Indeed all we ever got was a few drops of rain. 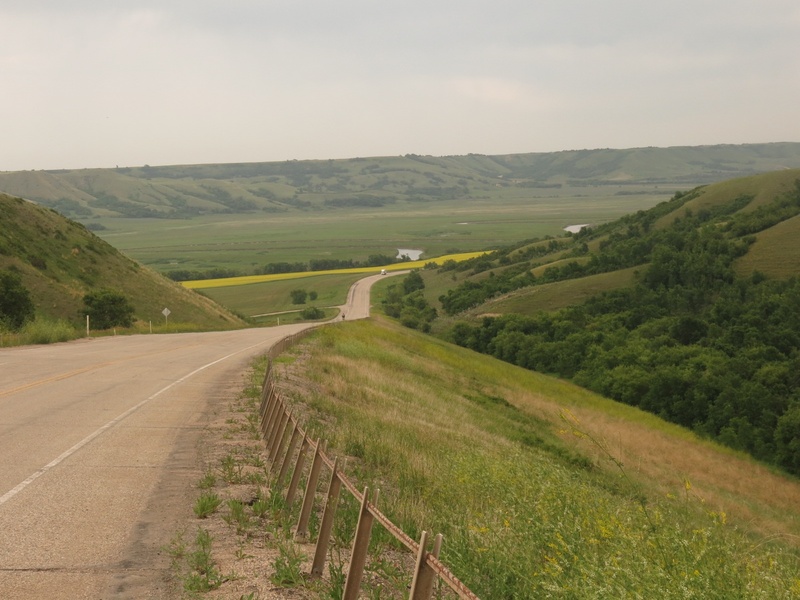 Riding north from Grenfell we soon came to the Qu’Appelle Valley. What a beautiful and spectacular valley! The ride down the hill was quite exhilarating and, while I didn’t have my Garmin on to check, I suspect that my speed got up close to 70 kph. Eventually we arrived at the campground at Crooked Lake. It is quite a pretty campground. After pitching my tent I went for a short swim in the lake then had a shower. 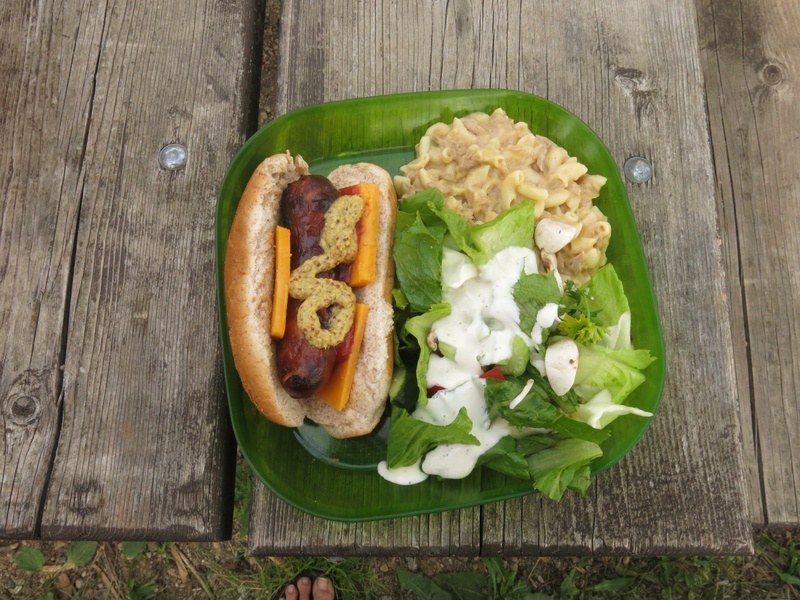 Dinner tonight was smokies along with salad and a bit of leftover tuna casserole. It was so good I had to take a picture of it! The total distance for today was 168 km.